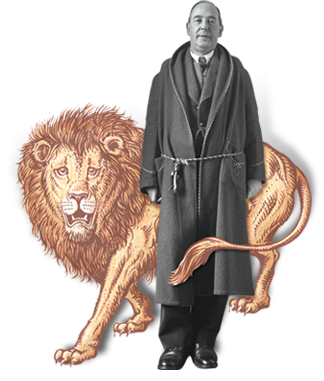 Just as readers have been transfixed by the stories, characters, and deeper meanings of Lewis's timeless tales in The Chronicles of Narnia, most find this same allure in his classic Space Trilogy. In these fantasy stories for adults, we encounter, once again, magical creatures, a world of wonders, epic battles, and revelations of transcendent truths. 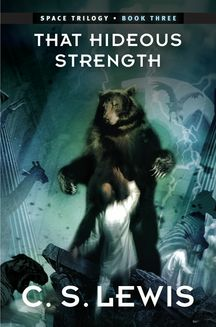 That Hideous Strength is the third novel in Lewis's science fiction trilogy. Set on Earth, it tells of a terrifying conspiracy against humanity. The story surrounds Mark and Jane Studdock, a newly married couple. Mark is a sociologist who is enticed to join an organization called N.I.C.E., which aims to control all human life. Jane, meanwhile, has bizarre prophetic dreams about a decapitated scientist, Alcasan. As Mark is drawn inextricably into the sinister organization, he discovers the truth of his wife's dreams when he meets the literal head of Alcasan, which is being kept alive by infusions of blood. Jane seeks help concerning her dreams at a community called St. Anne's, where she meets their leader—Dr. Ransom. The story ends in a final spectacular scene at the N.I.C.E. headquarters where Merlin appears to confront the powers of Hell.